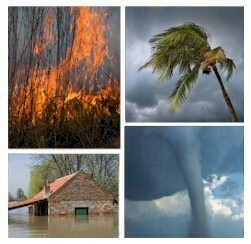 Early Warning Systems and 911 Emergency Notification Articles for Emergency Alerts and Community Warnings. For years, Warrenton residents were warned of impending disaster by the siren at the West Shirley Avenue fire house. But a change could be in the air. At a recent Fauquier County public safety committee meeting, First Sgt. Walter Putnam of the Warrenton Town Police said his department is considering implementing an Early Warning Notification System as an alternative to the siren. "I think it is something that could be beneficial to the community," he said. "We're looking for a system that can notify people within hours or minutes of a pending emergency." The technology is constantly changing, Putnam said. But the basic idea is to install a software program that can be activated from one or more computers. Information could then be disseminated to people via fax, pager, cell phone or e-mail, Putnam said. Depending on the situation, messages could be sent throughout the community or to a specific area, he explained. "We could notify hundreds of people at a time," he said. The system doesn't always have to be used in an emergency, however. It could be used to notify people about road closures, traffic conditions or even municipal meetings. It could also be used to coordinate Neighborhood Watch meetings, Putnam said. With his research still in the preliminary stages, Putnam could not say how much a system would cost. The town would hope to fund it through its portion of a grant from the Virginia Department of Emergency Management, Putnam said. The county received grant funding totaling approximately $189,000, he explained. Of that, the Town of Warrenton is entitled to roughly $23,000. Implementation of an early warning notification system may be something the county may also want to pursue, according to Tim McMenamin, director of the joint communication center. "I think it is a worthwhile program," he said. "If it is feasible (in terms of cost) we should look into it." The county must have some type of warning system in place by next July in order to comply with an unfunded state mandate, he added. "This (type of system) would meet that mandate," he said. Alexandra Bogdanovic may be reached at abogdanovic@timespapers.com .